Limestone-calcareous-siliceous, facing East and South. 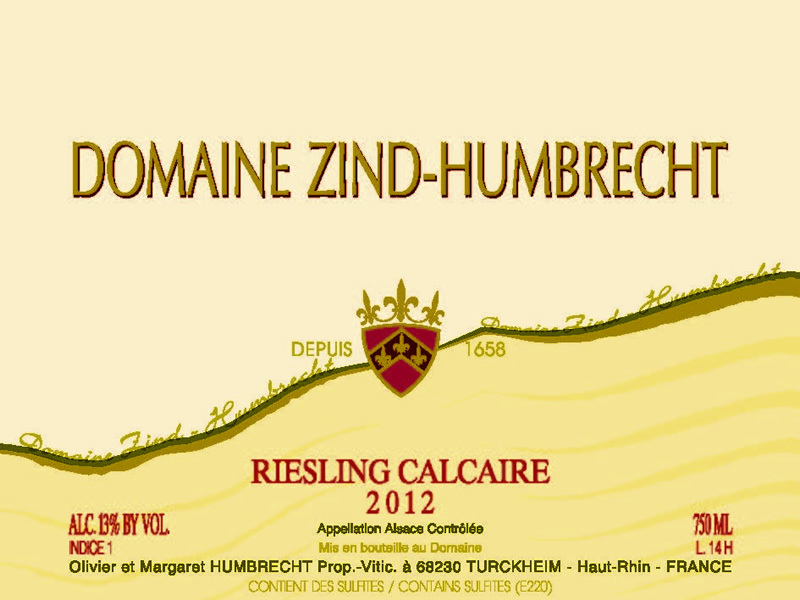 The Riesling Calcaire mainly originates from our Riesling vineyards located in Gueberschwihr. We then add some grapes from the Heimbourg if the crop isn’t large enough to fill in the cask. In 2012, while some vineyards located on alluvial soil suffered from the dry weather, limestone soils were able to resist perfectly and never showed any sign of stress. Just like most Riesling grapes in 2012, these were harvested in perfect health and allowed for a slow fermentation. The slightly higher acidity, very typical of richer and deeper limestone soils, can explain the presence of some residual sweetness, however completely hidden behind a great structure, allowing the wine to remain at Indice 1. 2/2014: bright green yellow colour. The nose shows fresh herbal, hay and fruity nose (citrus), and then, with time, eventually develops intense iodine, limestone/stony aromas. The palate has the typical weight and density usually associated with richer marl soils. From an oily richer mid palate, it goes towards a drier and tighter finish, where the acidity kicks in. Like many Calcaire or Gueberschwihr in the past, this wine will benefit of some cellaring.